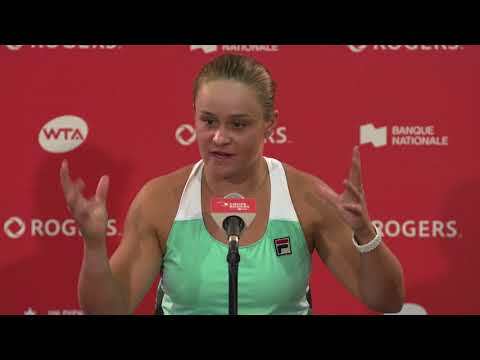 Welcome to Road to Rogers Cup, the regular roundup of all the action on the WTA Tour ahead of the 2019 Rogers Cup presented by National Bank at Aviva Centre from August 3 to 11. Today, we’ll take a quick look back at Bianca Andreescu’s incredible run to the title at Indian Wells and then preview the next Premier Mandatory tournament in the calendar – the Miami Open, which begins this week. As little as three months ago Andreescu was ranked 152nd in the world with aspirations of finishing 2019 in the top 50. Now she’s a WTA title winner, ranked 24th, having made a remarkable run to the final at Indian Wells, where she beat Angelique Kerber 6-4, 3-6, 6-4. Her unlikely success at the BNP Paribas Open, during which she beat five seeded players, including four in the top 20, was punctuated by her words in her post-match press conference when she declared it a ‘dream come true’. Andreescu would be forgiven for having the feeling of déjà vu this week in Miami. Just as she did in the at Indian Wells, the Canadian will take on Romanian Irina-Camelia Begu in the first round. A potential rematch with Kerber in the third round would make for incredible viewing as the 18-year-old aims to replicate her success from the west coast on the east to complete the legendary “Sunshine Double.” Not many women have won both Indian Wells and Miami consecutively in March – in fact, just three. 22-time Grand Slam champion Steffi Graf completed the feat in 1994 and 1996, while former World No. 1’s Kim Clijsters and Victoria Azarenka did the double in 2005 and 2016, respectively. Remember, you can watch Mississauga’s own Bianca Andreescu at Rogers Cup presented by National Bank from August 3-11 at the Aviva Centre. Last year’s Miami Open champion Sloane Stephens enters this year’s tournament following a disappointing showing at Indian Wells, where she was beaten by Stefanie Voegele in the second round having received a bye in the first. The American’s victory in the 2018 final ensured she notched a first Premier Mandatory title of her career to go with her 2017 US Open trophy. 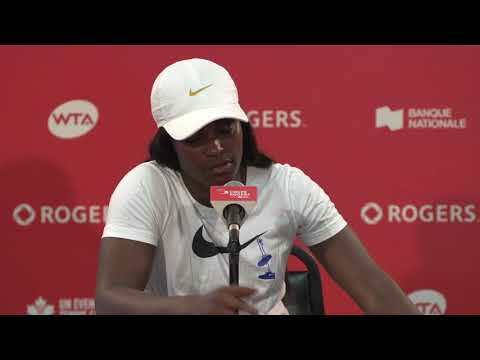 That win really kickstarted Stephens’ season, in which she reached the final of the French Open and the final of Rogers Cup in Montreal, where she lost to eventual champion – second-seed Simona Halep 7-6, 3-6, 6-4. Can she defend her title in Miami? She’s certainly one to keep an eye on. Germany’s Kerber will be determined to go one better than her showing in Indian Wells and claim the title in Florida. The 31-year-old, three-time Grand Slam champion hasn’t had a terrific start to the year, losing in the round-of-16 at the Australian Open to American Danielle Collins and, of course, suffering that loss to Andreescu in the final of the BNP Paribas Open on Sunday. However, there’s no doubting her quality. Moving up four places in the WTA rankings to fourth following her run to the final, the Bremen-native will be out to claim her first title of the year in Florida. All eyes will also be on three-time Rogers Cup champion Serena Williams after the 37-year-old was forced to retire from Indian Wells due to illness. The American cut short her match with Garbine Muguruza, who would go on to lose to Andreescu later in the tournament, at the start of the second set. The 23-time Grand Slam champion lost in the opening round at Miami last year to Naomi Osaka, who had just won the BNP Paribas Open. William is due to play the winner of Rebecca Peterson and a qualifier in the first round of this year’s draw. Eugenie Bouchard will not be part of the main draw at Miami having lost her first-round qualifier to Japan’s Nao Hibino. Despite winning the first set 6-4, breaking Hibino’s serve twice, Bouchard was unable to continue her momentum, dropping the second set 6-0 and the decisive third set 6-4. Fresh from her semi-finals appearance at the BNP Paribas Open alongside partner Xu Yifan, Gabriela Dabrowski will be keen to go one better at the Miami Open as they aim to improve on their third-round appearance last year. In 2018, the duo were knocked out of the tournament by Demi Schuurs and Elise Mertens 7-5, 7-5, having won the tournament the year prior – their biggest result as a team to date.